Long time residents of Gold Coast are aware of the vagaries of the weather as they constantly grabble with best options to either repair or replace their roof. Be it residential or commercial setups, we are touted as the finest Gold Coast roofing service providers meeting growing demand all around . Your perpetual search for quality roofing solutions ends with H & M Metal Roofing for we are a premier name in the roofing industry. Backed with decades of market experience, we have carved a niche for our elaborative roofing services across different economic sections for providing sustained performance. While you are chalking down plans to install a new roof or repair the existing roof, you would need expert advice to make an informed decision. That’s where we come into picture to provide all the requisite information for hassle-free service to all our Gold Coast clients. Amassed with a vast pool of technical knowledge and hands-on-experience, our team of roofing specialists effectively manage every minute concern of your roof. Be assured that you would have the best metal roofer in Gold Coast assigned to take care of your specific roofing !. Given weather onslaught is unavoidable in Gold Coast, a curated list of roofing solutions has been drafted for all sorts of roofing issues for our residential and commercial clients. Roof Repair: Prolonged exposure to heat and cold weather could severe the strength of your roof. 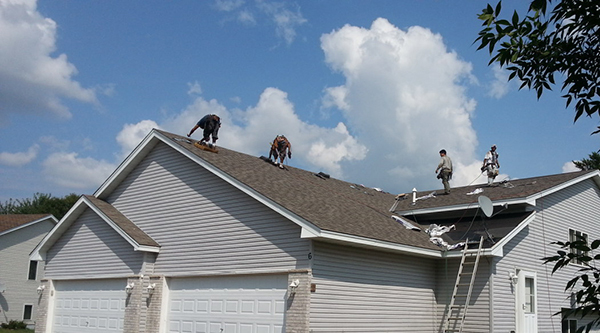 Here our roofing specialists conduct a thorough inspection before proceeding for roof repair. So, either shingles are worn off or it is the regular water leak, we employ most durable and reliable construction material ( asphalt, silicon etc) to fix the cracks. Roof Replacement: Most of the high quality roofs stay fine for decades but severe weather can do irreparable damage. Thus roof replacement can become inevitable. Our field specialists take due care of installing a roof to permanently fix the roof. Metal roofs are in demand for they are durable and provide long lasting services. Our top quality metal roofing services are highly recommended. Gutter Services: Cleaning or repairing gutters can be really tedious and often delaying to get it repaired cost you a bomb. Hire our specialists for they would identify the fix the gutter problem before it is beyond repair. Generally, gutter cleaning is sufficient. However, considering the construction quality, most gutters last for at least 20-30 years but beyond that you may have to get them replaced. Get free quotes for gutter services today ! 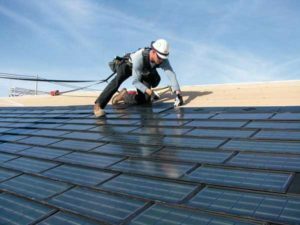 Asphalt shingle roofing remains a popular choice for small and large scale industries. Most of the commercial buildings with slanting roofs prefer asphalt shingles for protection against harsh protection. You can enjoy ample variety in shingle styles and colors to choose from. Metal roofing includes metal sheet panels cut out in specific measurement for the building site. It’s one of the durable options for it when installed on a slanting roofs provide better energy efficiency and seek less maintenance. EPDM roofing touted as a highly durable synthetic rubber roofing membrane is installed on flat and slightly-inclined roofs of commercial buildings for decades. It remains a sorted option for roof contractors for re-roofing as well as for new construction. SPF (Spray Polyurethane Foam) roofing forms a seamless and energy-efficient solution for low-slope and flat roofs of commercial buildings. The application of the foam offers complete ease without expending much time to disrupting the usual routine of the facility. It can be used for re-roofing as well as for new roof installation on all shapes and types of roofs. Browse through our roof gallery to get an inkling of our finest range of work till date! If still in doubt or would like to discuss more about our bespoke Gold Coast roofing services, contact one of our contractors today!